I am pre-posting a number of articles to run this Independence Day weekend so I can work on the article that I place on posting July 4th. These are articles from my Gettysburg text that deal with events of July 1st, 2nd, and 3rd 1863 during the Battle of Gettysburg. They have all appeared on this site before in different forms, but the Battle of Gettysburg still matters, what was done there on the behalf of freedom cannot be allowed to be forgotten. .
July 2nd 1863 was to be a pivotal day in the history of the United States, a day of valor, courage and carnage; a day where nearly 20,000 Americans were killed, wounded or missing fighting fellow Americans. It was a day where the fate of the Union and the Confederacy were in the balance. On the afternoon of that day, three volunteers rose to the challenge. However, when we tell the story of Gettysburg or for that matter any other battle we often neglect the human costs endured by the soldiers as well as their families off the battlefield. In fact, what we know of the heroes of these battles is of their battlefield heroism as well other military or governmental service. The pictures we have of them are often the polished versions of their heroics, sometimes bordering on hagiography, criticism, if any is leveled at all, is confined to battlefield decisions or campaign plans. We mythologize them, we turn them into idols, icons and somehow, even as important and inspiring as the myths may be, we ignore their basic humanity. When we do this we often miss the more important things about their lives; those things that make them much more real, much more human, much more like us. Sadly, the unvarnished accounts of then lives of heroes often only show up in biographies, and are seldom mentioned in the more popular accounts of battles. But the pain and suffering that these men and their families endured during and after war is sadly neglected, much to the detriment of those who idolize them. Returning home he studied law with a prominent lawyer and within two years had passed the bar, and he was well respected in the community. When war came and the call went out for volunteers, Vincent enlisted in a 30 Day regiment, the Wayne Guards as a private and then was appointed as a 1st Lieutenant and Adjutant of the regiment because of his academic and administrative acumen. 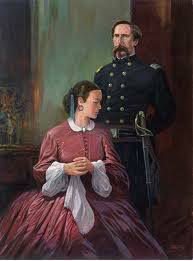 His promotion was well earned, following a bout with a combination of Malaria and Typhoid, the “Chickahominy Fever” which almost killed him; Vincent took command of the regiment after its commander was killed at Gaines Mill. He commanded the regiment at Fredericksburg and was promoted to command the 3rd Brigade after the Battle of Chancellorsville following the resignation of its commander, Colonel T.W.B. Stockton on May 18th 1863. Vincent was known for his personal courage and a soldier of the 83rd Pennsylvania observed: “Vincent had a particular penchant for being in the lead….Whenever or wherever his brigade might be in a position to get ahead…, he was sure to be ahead.”  That courage and acumen to be in the right place at the right time was in evidence when he led his brigade into battle on that fateful July second. Vincent dismounted, leaving his sword secured on his horse, carrying only his riding crop. He continued and “with the skill and precision of a professional had reconnoitered and decided how to best place his slim brigade of 1350 muskets.”  He chose a position along a spur of the hill, which now bears his name, running from the northwest to the southeast to place his regiments where they could intercept the Confederate troops of Hood’s division which he could see advancing toward the hill. That section of the line was located on massive boulders that placed it high above the valley below, making it nearly impregnable to frontal attack. 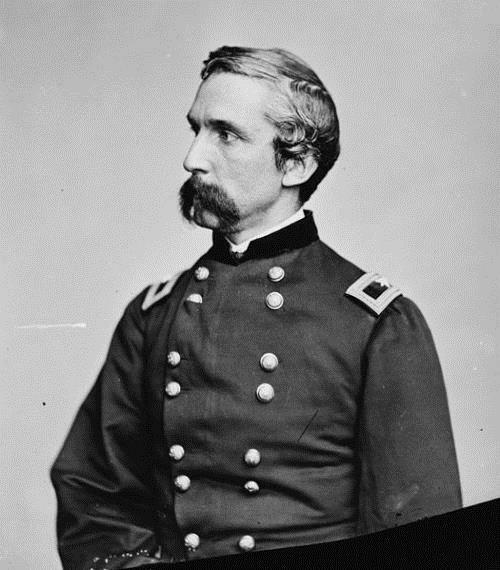 On the summit Vincent deployed the 83rd Pennsylvania and 44th New York to their left at the request of Rice who told him “In every battle that we have engaged the Eighty-third and Forty-fourth have fought side by side. I wish that it might be so today.”  The story is probably apocryphal but the regiments remained side by side with the 16th Michigan on the right and the 20th Maine on the left. The two regiments were deployed below the crest among the large number of boulders; the 83rd was about two-thirds of the way down the way down the slope where it joined the right of the 44th, whose line angled back up the slope to the southeast. A historian of the 83rd Pennsylvania noted that “Each rock”… “was a fortress behind which the soldier[s] instantly took shelter.”  The soldiers were determined to do their duty as they now were fighting on home ground. 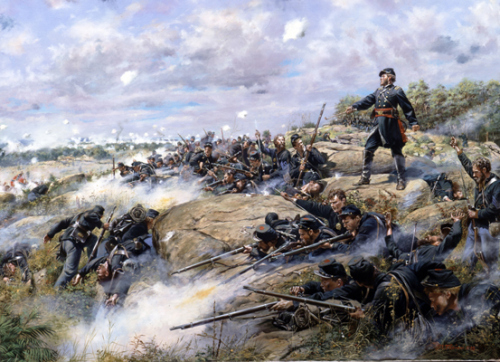 At Gettysburg, O’Rorke was with Weed’s brigade when Gouverneur Warren found him as he attempted to get any available troops to the summit of Little Round Top. 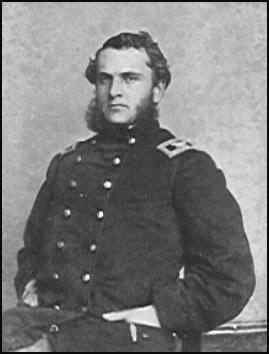 When Warren found O’Rorke, who had been one of his students at West Point, he ordered him to follow him up the hill, saying “Paddy…give me a regiment.”  When O’Rorke said that Weed expected him to be following him, Warren took the responsibility telling O’Rorke “Bring them up on the double quick, and don’t stop for aligning. I’ll take responsibility.”  O’Rorke followed with his gallant regiment with the rest of the brigade under Weed following behind them. O’Rorke’s troops smashed into the surging Rebel ranks, stopping the Confederate assault in its tracks and taking over two-hundred prisoners. As O’Rorke “valiantly led his men into battle, surging down the hill toward the shelf of rock so recently vacated by the right wing of the 16th Michigan, he paused for a moment to cheer his men on and wave them forward. When he did, he was struck in the neck by an enemy bullet….O’Rorke, killed instantly slumped to the ground.”  But his regiment “had the initiative now. More and more men piled into a sloppy line, firing as fast as they could reload. Their dramatic appearance breathed renewed life into the other Union regiments on the hill, which now picked up their firing rates.”  The gallant young Irish colonel was dead, but he and his regiment had saved Vincent’s right flank. The regiment had suffered fearfully, “with 183 men killed or wounded, but they had managed to throw back the Texans. The adjutant of the 140th estimated that they came within sixty seconds of losing the top of the hill.”  O’Rorke’s soldiers were enraged by the death of their beloved colonel and picked out the Confederate who had killed him. 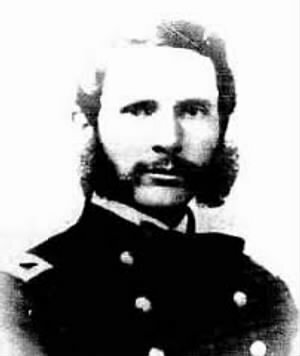 One of the soldiers wrote “that was Johnny’s last shot, for a number of Companies A and G fired instantly.” It was said that this particular Johnny was hit, by actual count, seventeen times.”  Now led by company commanders the 140th stayed in the fight and solidified and extended the Federal line in conjunction with the rest of Weed’s brigade to their right. Vincent’s wife Elizabeth never married again and was taken in by the Vincent family. Vincent’s younger brother became an Episcopal Priest and Bishop and later provided a home for her. She became a tireless worker in the church working with charitable work for young women and children. This led to an interest in sacred art and she wrote two books: Mary, the Mother of Jesus and The Madonna in Legend and in Art. She also translated Delitzch’s Behold the Man and A Day in Capernaum from the German. Elizabeth Vincent passed away in April 1914 and was buried beside her husband and daughter.